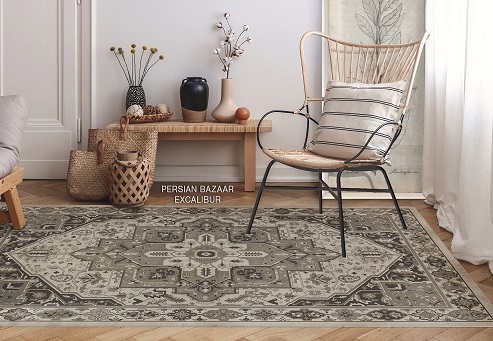 This collection of vinyl floorcloths is inspired by beautiful and intricate designs from Persia. Available in rectangle sizes (coming soon runner and square as well). Custom sizes are available, but only in proportional sizes to existing shapes. Contact the store for more information.